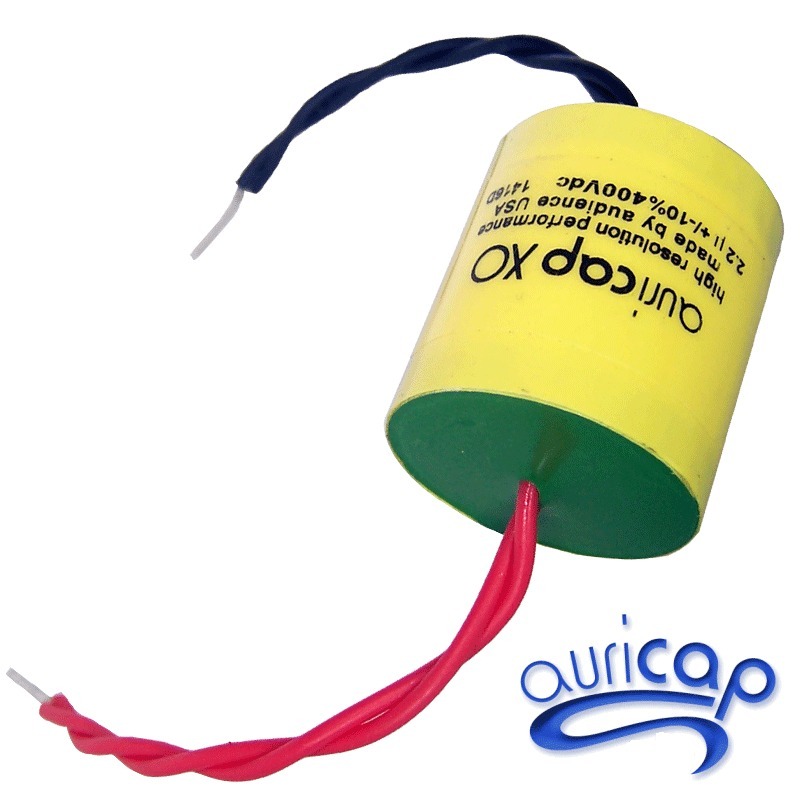 The Auricap XO is a new high performance capacitor product from Audience that is the result of rigorous consideration of every aspect in capacitor design and the manufacturing process. Audience has reconsidered a host of parameters including tension windings, baking times and cryogenic treatment among other proprietary procedures. Auricap XO is made using the very finest obtainable polypropylene film and new high purity continuous cast copper leads. This new capacitor design offers reduced parasitic such as ESR improving on its effective bandwidth, clarity and coherence. With these design changes a new level of performance is reached with even less coloration, micro-phonics and noise contribution than the famous Auricap. There are no drawbacks to the Auricap XO in comparison to the standard Auricap. Users can still expect all of the wonderful virtues for which the standard Auricap is known. In brief, the Auricap XO is simply more transparent allowing you to hear farther into the music. 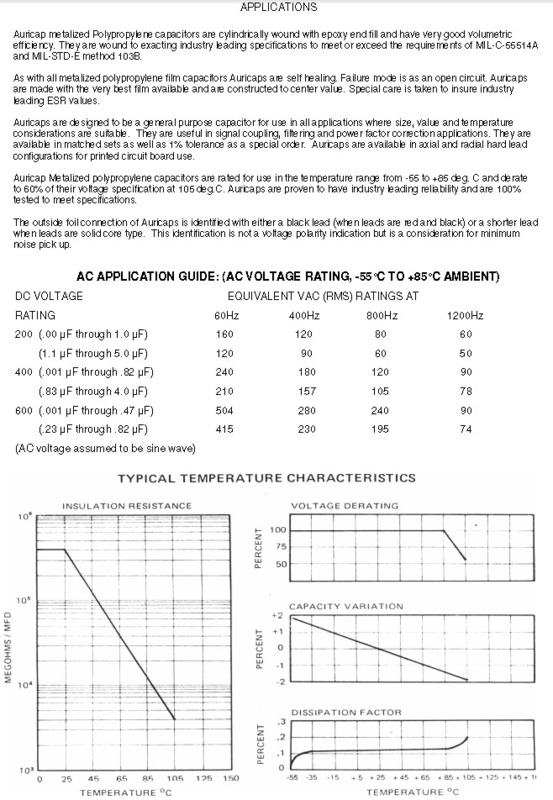 Auricap film capacitors are not polarized. However, the outer foil marked by a red leadout with a black mark or a completely black leadout. Some of the stock now has white leadouts, these are marked on one end by a black circle, this indicated the outer foil end. Position this lead out to the lower impedance end (lower DC voltage end). This will improve the noise floor. Please read the application note PDF file below for more information.